Our July presentation will be on “How to sell on the Web” by our own Kristina Pesce. We have many very talented lapidary enthusiasts and jewelry makers amongst our society. Have any of you just gotten overwhelmed with all your creations and run out of room to store them all? Have you ever thought about selling any of your hard work? Well, this event is for you. Kristina will provide you with a method to sell your work on the web. Don’t miss this one! Mars: What do we know? How far do we have to go? Angela Dapremont, a PhD student at the Georgia Institute of Technology will discuss the earliest orbital remote sensing observations of the surface of Mars. She will talk about the orbital instruments used to acquire valuable knowledge about the mineralogy of Mars. She will then transition to in situ observations of Mars specifically as they relate to deciphering the mineral formation history of specific environments on the Martian surface. Angela will tell us the value of comparison studies between Earth and Mars and the fascinating features observed on both terrestrial bodies used for these studies. Angela studies the surface composition of Mars using visible and near infrared spectroscopy as well as high resolution cameras. Her work involves the use of remote sensing instruments currently orbiting Mars and she hopes to eventually incorporate data and observations from rovers exploring the Martian surface. Angela also has experience working in space policy and she remains interested in the intersection between science and policy. Please join Tellus Science Museum Curator and CCGMS club member Sarah Christensen at our next general meeting as she recaps her recent trip to Iceland. Iceland is a country of sharp contrasts. A place where fire and ice co-exist. Where dark winters are offset by the summer’s midnight sun. A country where insular existence has spurred a rich and vibrant culture. Sarah is an excellent speaker and you don’t want to miss her interesting presentation. 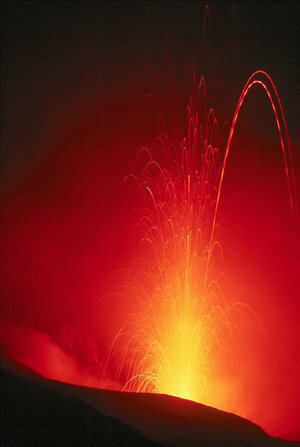 For 15 years Dr. Dion Stewart, Professor of Geology at Georgia State University, did research on volcanoes and the causes of magma formation around the world. His talk will take you to several of the volcanoes he worked on and introduce you to the science of Volcanology. Starting in Hawaii, researching Iceland, and finishing in Italy he will take you on a picture tour of some of the more interesting aspects of volcanic eruptions and their destructive nature. As with all of Dr. Stewart’s talks, this promises to be one you won’t want to miss! Please bring the Jr. Rockhounds as they are sure to be excited! How do you catch a space rock? And why would you want to? Come to our next Meeting on Feb 14 and hear Bob Shively talk about NASA's plans to catch an asteroid and place it in orbit around our moon. Learn about all the elements that are contained in asteroids, including water and precious metals. Don't miss this fascinating talk! Visitors are welcome. Our January presentation will be on "Collecting in the Cretaceous" which will cover many fossil sites on both sides of the pond, from Appalachia to Laramidia (that's Georgia to Wyoming in present terms). Our speaker, David Braswell, will share photographs and information on the locations and fossils he has collected over the last several years through club trips and private collecting opportunities, tips on collecting and preserving fossils, and resources that can be acquired to assist in identifying and locating cretaceous fossils.